Alright.. it´s finally time to write a little bit about this one! So after spending a week in the jungle of north-east Honduras, I return to find out that I placed 5th in the Free Study! AWESOME!!! Thanks to everyone who commented!! So the shot is taken on the beautiful Carribean beach of West Bay, located on the island of Roatan in Honduras. 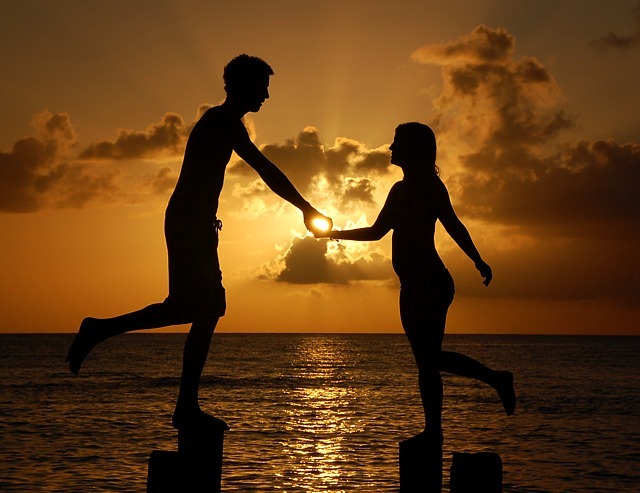 I had been trying to get one of those ¨holding the sun¨ pictures for a while now, having tried unsuccessfully with my girlfriend not too long ago - and so when I discovered the beautiful sunsets at West Bay, as well as the unobstructed ¨dock¨, I knew I was holding a gem. Thanks to Pat and Gabriella for chillin´ out on those posts while I snapped away! Nice shot but I think it's pretty weak to enter essentially the same shot twice in the same week. My fav of the challenge....no ribbon?! Ya gotta be kidding me! Congrats !!! I thought for sure this would score in the top 3.. It's certainly my favorite of the challenge.. I hope that the other entry riboons! Congrats on your 5th placement, it's well deserved. That's a fantastic shot. Love the silhouette and the tender touch. Congrats on top 5 and your new personal best! Wow!!! What an amazing photo to achieve a personal best with. I wonder what the story is behind this photo if there is one. It looks like there is. It is really great! Congratulations on your first honorablel mention too! pretty corny title. nice sunset. 6.
haha this is really cool, great idea...10 and a fav! Cool concept but the posing could be better. The colors are nice. Brilliant. This would win the contre jour challenge easy. I guess it was taken before that challenge. Great idea! 10 from me. Very nice shot, I like the light in the hands. Nice photo, would have made a great contre-jour challenge entry as well. Trying to think of improvments, perhaps an obviously older male would have implied more of a "Gift from the Gods". great composition, great colors, great lighting, great shot! also a great idea for contre-jour! Could be one of the best here! Good luck! great image, this is refreshing amongst others. Great contre jour. That's a really artful image. Lovely. omg !!!!!!!!!!!! I love this so much.. I'm jealous.. I want this to be my entry.. :-).. This is such a 10 I can't believe it... it's a 100.. I can't wait to see who's taken this so I can look at all your other pictures. Unbelievable use of light. So creative. Genius !! ok, I'll stop now.. Superb !! this is a great concept, would make a nice print. Proudly hosted by Sargasso Networks. Current Server Time: 04/19/2019 10:40:14 PM EDT.